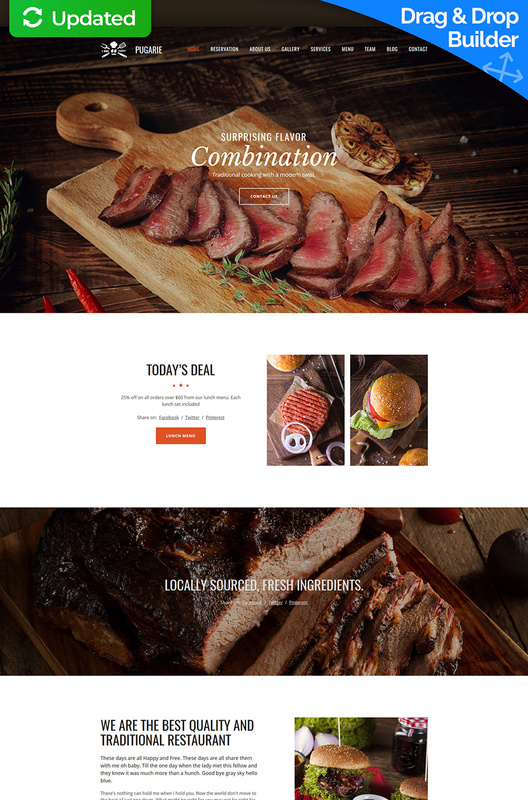 Those who like meat will go crazy if you build a website on the bases of this BBQ Restaurant Moto CMS 3 Template. Would you like to know why? There are many reasons. Just have a look at the huge, high-resolution photo that greets the guests. It will stir your appetite even if you are not hungry. Hollow ‘Contact us’ button over the image draws visitors’ attention and calls them for action. 'Today's deal' is featured at the separate content area. Restaurant menu is displayed in two columns. The dishes come with prices and descriptions, which is rather usable. Home page also contains gallery, testimonials, and news blocks, which will let you make your website always updated and interesting for the visitors. Sprzedano - 31 szt. tego szablonu.